Shelter Architecture and Design Magazine has launched the release of its debut book, Human Scale, the first title in an upcoming series of architecture monographs. The event was held last March 7, 2015, 6PM at Fully Booked Bookstore at Bonifacio Global City in Taguig City. Human Scale takes a look at the works of WTA Architecture and Design Studio, a multidisciplinary firm composed of young architects, interior designers and engineers. The ten chapter book illustrates the concepts which the firm has found relevant in the practice, and which serve the need to find and explore new ideas in order to create a sustainable and livable urban model. “Potentials and capacities of scale catalyzed the concept of the book. It is an enduring theory of architecture that we felt the studio could explore through our designs. This database of projects encompasses a wide range of situations and solutions with highly significant degrees of variation in scale,” explained Ar. 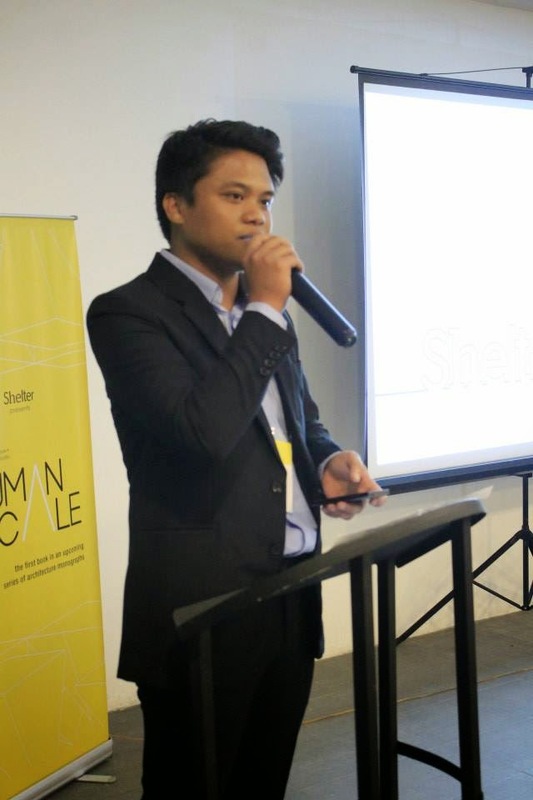 Royce Mar Nicdao, Shelter Editor-in-Chief. Nicdao adds that the plethora of designs presented in the monograph asks, affirms, and sometimes invents architectural designs that contribute to the pool of current local design knowledge. The book deprovincializes accustomed architectural comprehension through extensive design responses, which are not essentially limited for local application. 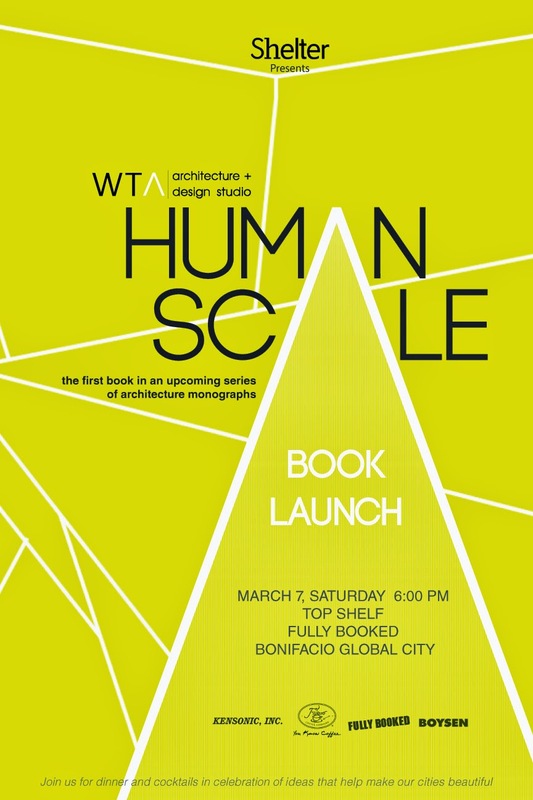 Human Scale is available in bookstores nationwide starting March 2015. For more information, you may contact Shelter Magazine through sheltermag.ph@gmail.com and WTA Architecture and Design Studio through contact@wtadesignstudio.com.